A way to sequence tiles with associated timings so you can see them in motion would be wonderful. It would be most useful if you could animate while editing, to finetune the details. 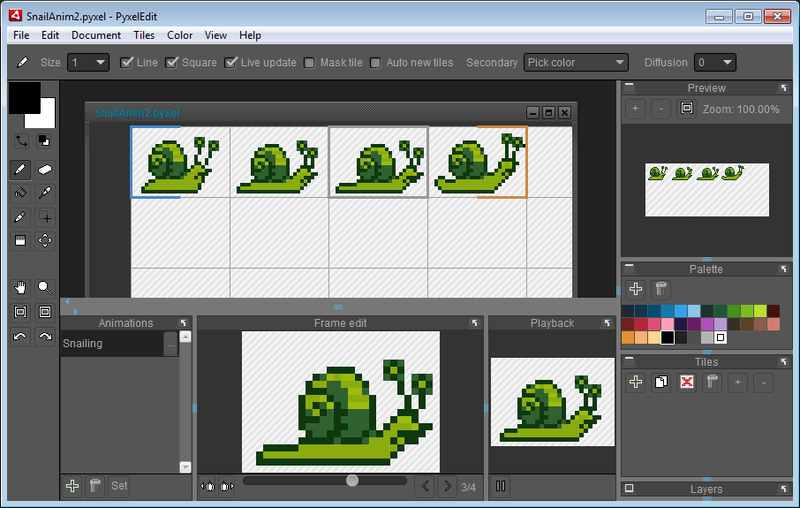 The next version has animation support, where you can edit the animation while editing like you say. It currently doesn't allow different timings per frame though, but if there is demand I might implement that too. That's odd, looks like only the owner can see the full image. Edit: I updated the permission, now it should work.